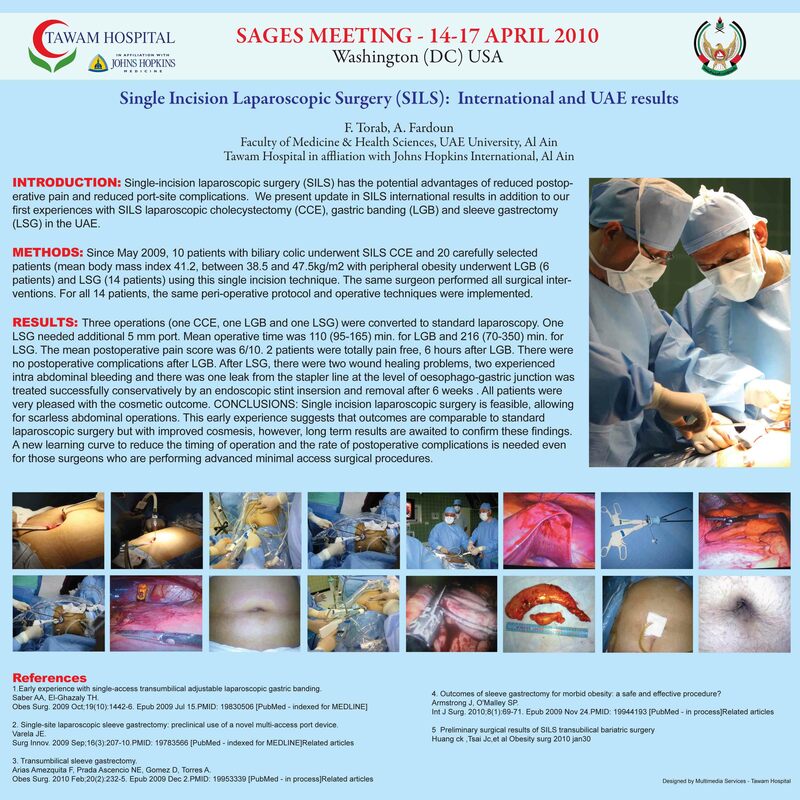 Introduction: the use of single incision laparoscopic surgery, SLIS , increased in the last two years and started strongly to occupy a big space in surgery as a minimally invasive surgery procedure through the umbilicus . We have started with cholecystectomy, gastric banding and sleeve gastrectomy procedures just immediately after the last meeting of SAGES in Phoenix Az.in May 2009. Methods: SILS port Covidien is used. 35 patients were operated since May 2009 selecting patients with BMI 35- 47 fit for bariatric surgery. No groups due to age or co morbidities were exempted. Operative time, postoperative pain, hospital stay, cosmetic results and complications were compared with the normal laparoscopic procedures. A transverse incision was made in the supra umbilical area of 2 cm long or through the umbilicus in semi lunar shape for the SILS . Results ;operative time was 210 -130 and reduced with the last cases after getting more familiar with the new technique. Pain was more 6/10 vs. 4/10 in SILS vs. laparoscopic procedures probably due to muscle and fascia cut. Postoperative bleeding was more in SILS(3/35) compared with laparoscopic sleeve gastrectomy. Wound infection is slightly more as well in SLIS compared with the normal laparoscopic procedures.